All doctors are qualified to undertake minor surgery on the premises. An appointment will be given for such treatment. All doctors are trained in family planning and are happy to deal with most aspects of this including coil and cap fitting. Our practice nurses are also available for advice and help. delivery in Gloucester, Stroud or Cheltenham. The doctors do not provide a home delivery cover. Child development checks are done on all children from birth to school age, with full examinations at 8 weeks and 9 months. Each child is offered a full immunisation programme. Who should have the flu vaccination? For most people, flu is unpleasant but not serious. You will usually recover within a week. However, certain people are at greater risk of developing serious complications of flu, such as bronchitis and pneumonia. These conditions may require hospital treatment. The flu vaccine is offered free to people who are at risk, to protect them from catching flu and developing serious complications. If you are the parent of a child who is over six months old and has a long-term condition on the list below, speak to your GP about the flu vaccine. Your child's condition may get worse if they catch flu. It is recommended that all pregnant women should have the flu vaccine, whatever stage of pregnancy they're in. This is because there is good evidence that pregnant women have an increased risk of developing complications if they get flu, particularly from the H1N1 strain. Studies have shown that the flu vaccine can be safely and effectively given during any trimester of pregnancy. The vaccine does not carry risks for either the mother or baby. In fact, studies have shown that mothers who have had the vaccine while pregnant pass some protection to their babies, which lasts for the first few months of their lives. Employers are responsible for ensuring that arrangements are in place for frontline healthcare staff to have the flu vaccine. Outbreaks of flu can occur in health and social care settings, and staff, patients and residents are at risk of infection. Frontline health and social care staff should protect themselves by having the flu vaccine to prevent the spread of flu to colleagues and other members of the community. If you care for someone who is elderly or disabled, speak to your GP about getting vaccinated against seasonal flu. You should also ensure that the person you care for has the flu jab. Flu and Pneumonia vaccinations are offered to all people over 65 year old . In addition, the following categories of people who are considered more vulnerable to flu and who would benefit from vaccination. Who should not have the flu vaccination? You should not have the flu vaccine if you have ever had an allergic reaction to a flu vaccine or one of its ingredients. This happens very rarely. If you have had a confirmed very serious (anaphylactic) reaction to egg, have an egg allergy with uncontrolled asthma or another type of allergy to egg, your GP may decide that you should be vaccinated with an egg-free vaccine. One such vaccine is available for this flu season (called Preflucel, manufactured by Baxter Healthcare). If no egg-free vaccine is available, your GP will identify a suitable vaccine with a low egg (ovalbumin) content, the details of which will be in the Green Book - Immunisation against infectious disease (PDF, 3.21Mb). Depending on the severity of your egg allergy, your GP may decide to refer you to a specialist for vaccination in hospital. If you are ill with a fever, do not have your flu jab until you have recovered. Our practice nurse, Mrs Katherine Counter, is on duty each day for help and advice on general matters - holiday vaccinations, under 5’s immunisations, family planning, cervical smears, blood pressure checks, weight checks and diet advice. Once completed, please drop it in or email it to regent.reception@nhs.net. The nurse will go through it and will get in touch to arrange a suitable appointment. Please complete and drop in the form at least 6 weeks before travel. A second or third appointment may be required with the practice nurse for some vaccinations as they must be given at regular intervals. 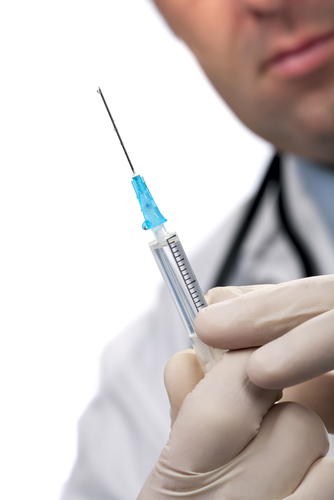 Some vaccines have to be ordered as they are not a stock vaccine. Malaria tablets can be obtained through our dispensary or alternatively, you may wish to source them elsewhere with a private prescription. Private prescriptions cost £18. For a list of our fees, please refer to Regent Street Surgery Non-NHS services fees list. It can take up to 28 days to turn around a form, questionnaire or report so please be mindful of this when submitting it. For more information regarding timescales, please see the Q&As below. Unfortunately, we are unable to complete Mental Capacity Assessments or Power of Attorney Assessments. We do not have a card facility at the surgery. Payment can be made via cheque or cash. Please make cheques payable to Regent Street Surgery. Time spent completing forms and preparing reports takes the GP away from the medical care of his or her patients. 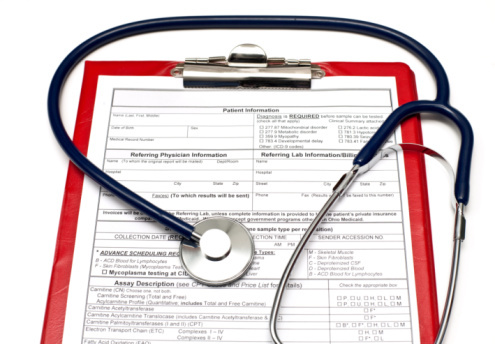 Most GPs have a very heavy workload and paperwork takes up an increasing amount of their time. Our GPs do non-NHS work out of NHS time at evenings and weekends so that NHS patient care does not suffer. When a doctor signs a certificate or completes a report, it is a condition of remaining on the Medical Register that they only sign what they know to be true. In order to complete even the simplest of forms, therefore, the doctor might have to check the patient's ENTIRE medical record. Carelessness or an inaccurate report can have serious consequences for the doctor with the General Medical Council (the doctors' regulatory body) or even the Police. If you are a new patient we may not have your medical records so the doctor must wait for these before completing the form. It is recommended that GPs tell patients in advance if they will be charged, and what the fee will be. It is up to the individual doctors to decide how much they will charge. The surgery has a list of fees which can be viewed at the link above. Not all documents need a signature by a doctor, for example passport applications. You can ask another person in a position of trust to sign such documents free of charge. Read the information that comes with these types of forms carefully before requesting your GP to complete them. If you have several forms requiring completion, present them all at once and ask your GP if he or she is prepared to complete them at the same time to speed up the process. Do not expect your GP to process forms overnight: urgent requests may mean that a doctor has to make special arrangements to process the form quickly, and this may cost more. Usually non-NHS work will take up to 28 days. We do not routinely contact you if your test results are normal. 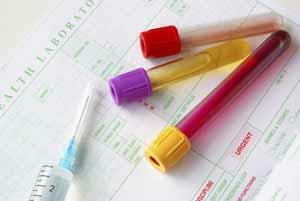 If the doctor requests to see you as a result of your test, then you will be contacted to make an appointment. To enquire about your results, please telephone after 14:00 when the receptionists will have more time to help you. Receptionists will only be able to assist you with results received which have been seen by the Doctor and marked as "Normal, no action required inform patient". Please do not ask the receptionists any questions regarding your tests as they are not clinically trained and will not be able to assist you. If the doctor or nurse has asked you to provide a pathology sample (e.g. urine, stool, sputum) these must be left at reception before 12:30, Monday - Friday.